The love spoon is a symbolic gift, given to a young woman by her suitor in Wales. Traditionally the handle of the spoon was decorated with symbols of love, and also reflected the skill of the carver. 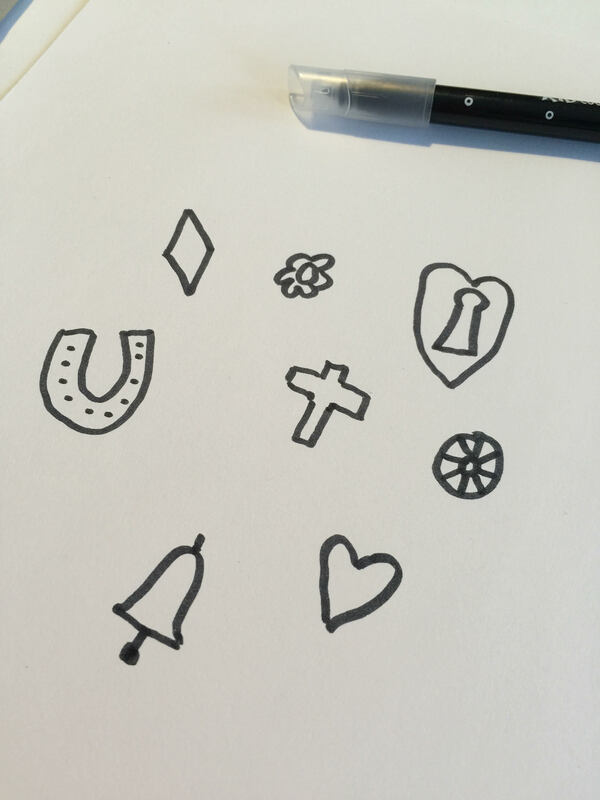 Each symbol has a different meaning – a horseshoe for good luck, a flower for courtship, a Christian cross for faith in God, bells for marriage, hearts for love, a diamond for wealth, a wheel for supporting a loved one and a lock for security, amongst others. 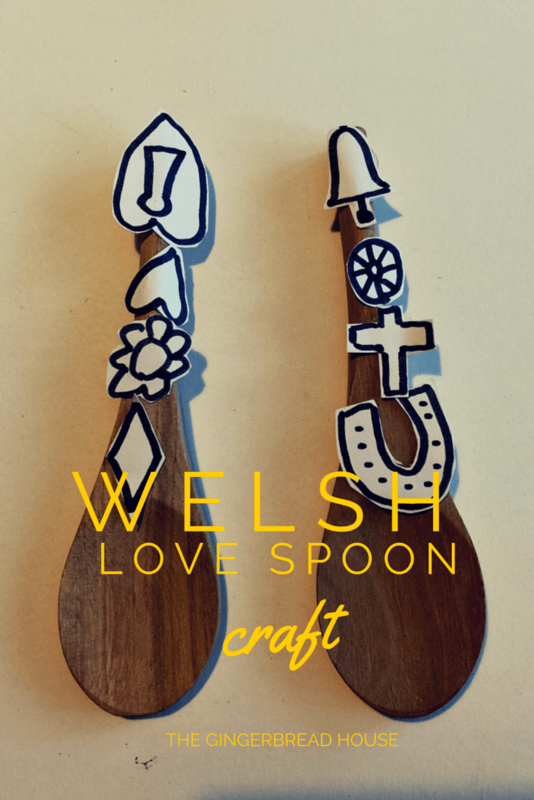 We thought we would make our own version so here is our simple Welsh love spoon craft for St David’s Day. 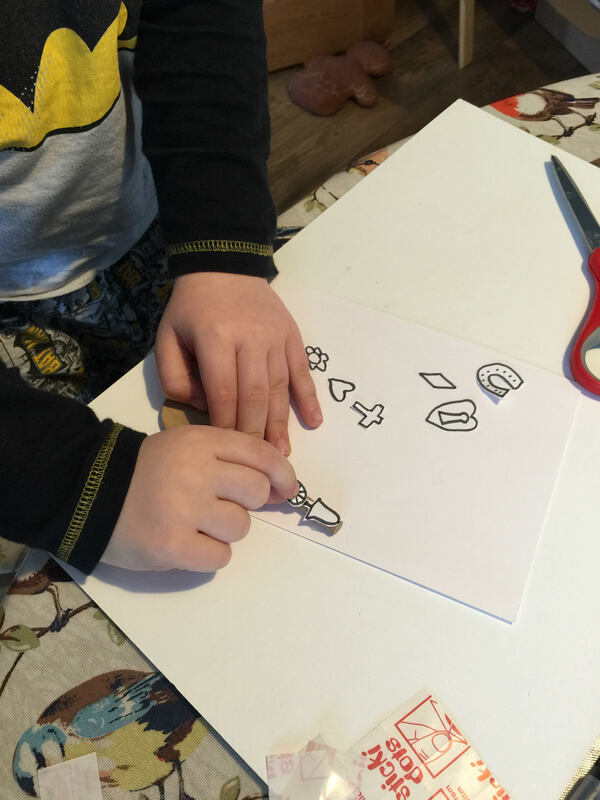 First draw your symbols on a piece of card – we chose the symbols above as they are easily recognisable and we were able to talk about each one and a little about their meaning. I cut them out and my children decided which symbols they wanted to use on their spoons. 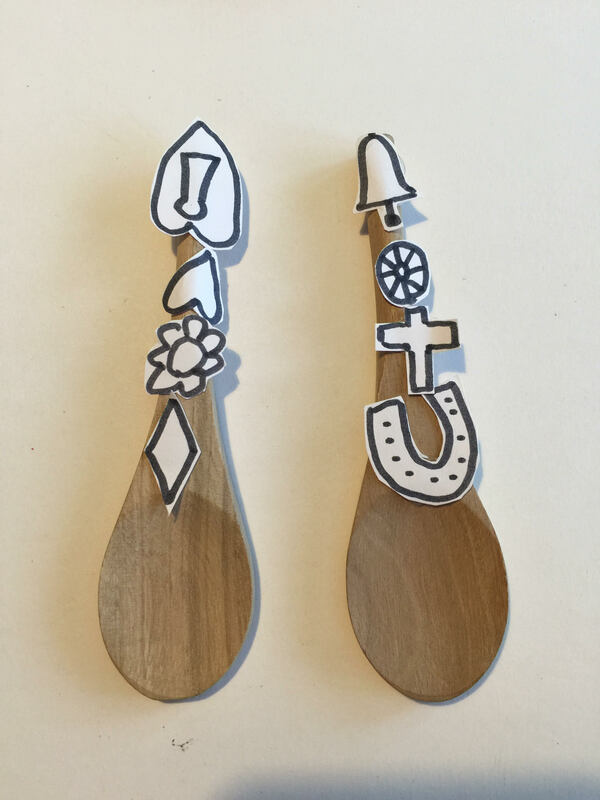 I put a glue dot on the back of each symbol and let them decorate the handles of the wooden spoons. 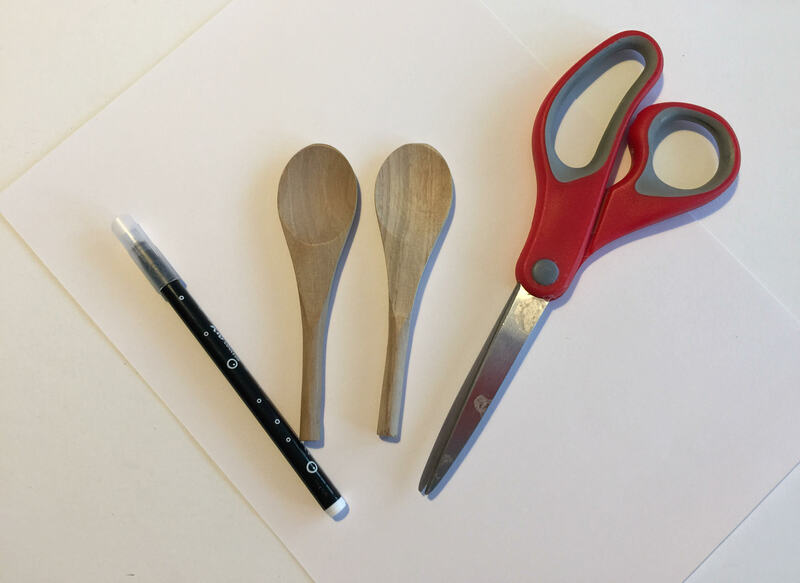 If you can’t find wooden spoons in your local craft shop you could always draw one. 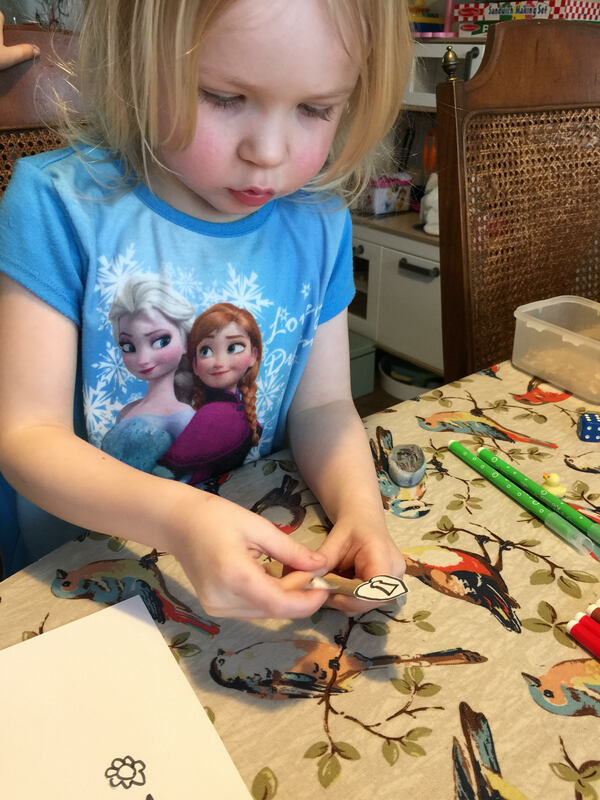 This is a great craft activity for shape recognition although you can see my 3 year old hasn’t quite learned which way round the symbols go! Welsh love spoon isn’t something I have heard of but it sounds lovely, looks like you had fun making one. Lovely craft idea and it looks like you all enjoyed making them.